The fifth season of "Game of Thrones" came to a close on Sunday night, leaving us in a pool of tears after that character's death. It was a devastating finale that packed in a surplus of storylines, but also left fans with a ton of questions. Spoiler alert for Season 5, Episode 10, "Mother's Mercy." Is Jon seriously gone forever? If not, why is she even at The Wall? Will Jon's body be burned so he won't turn into a Wight? Where is Ghost and why didn't he save Jon from the attack? If so, why didn't they show Brienne fully kill him? Where was Roose Bolton during the battle? Speaking of that battle, um, why didn't we see it? Hey HBO, can you increase the "Game of Thrones" budget so we can see the battle, please? Is Ser Davos going to avenge Shireen after her death? 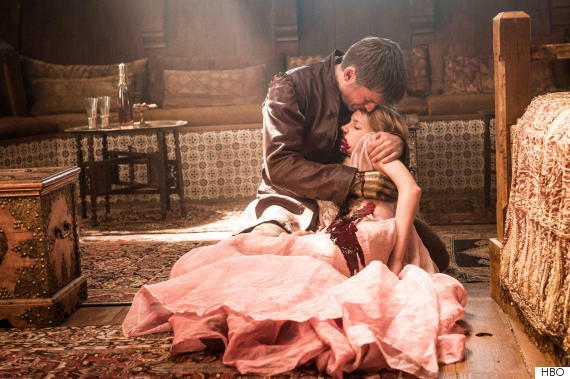 Is Myrcella gone for good? Is Jaime going to turn that ship around and seek revenge? Why were the Sand Snakes so lame? Where was Tommen during Cersei's Walk of Shame? Are Margaery and Loras still in prison and will they be freed? Can Ser Pounce please come back? Is Dany in grave danger with the Dothraki? Are the Dothraki really not going to find the ring Daenerys dropped right in front of them? How pissed are Rhaegal and Viserion for missing out on all the dragon action? Are we eventually going to see what Qyburn did to The Mountain? Where is Benjen Stark, for real? On that note of missing persons, where the heck are Rickon and Osha? Oh, and where is Gendry?? What has Bran been doing this whole time? Will Jorah get jealous and try to kill Daario during their trip? Is Jorah going to die from Grayscale? Isn't Mace Tyrell like, "Uh, where's Meryn Trant?" 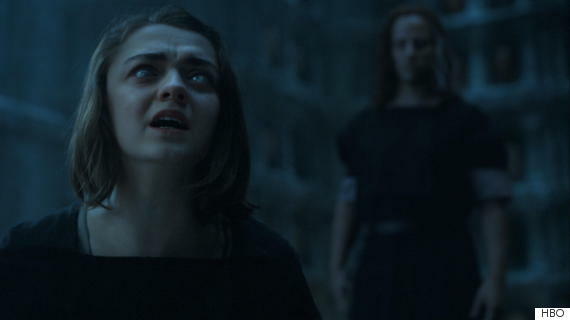 How long will Arya stay blind? Also, what the heck happened when Jaqen drank the poison and Arya swiped off all of the faces? Where is Littlefinger and what is he planning? What are the White Walkers doing? Can we be team White Walkers now? ?